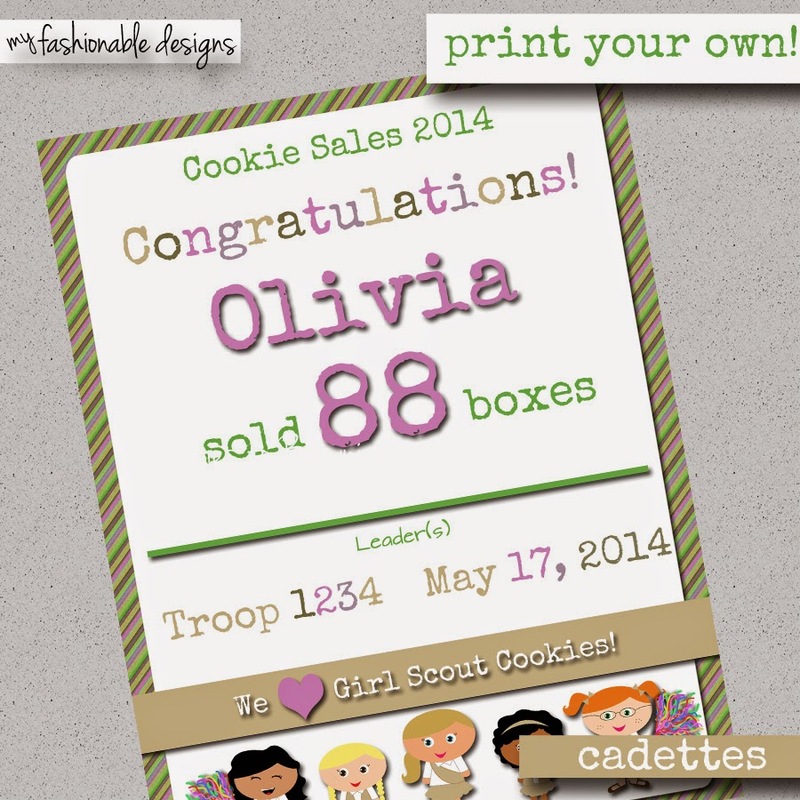 My Fashionable Designs: Girl Scouts: Custom Cookie Sales Certificates!!! Girls LOVE to see their own name in print!!!! 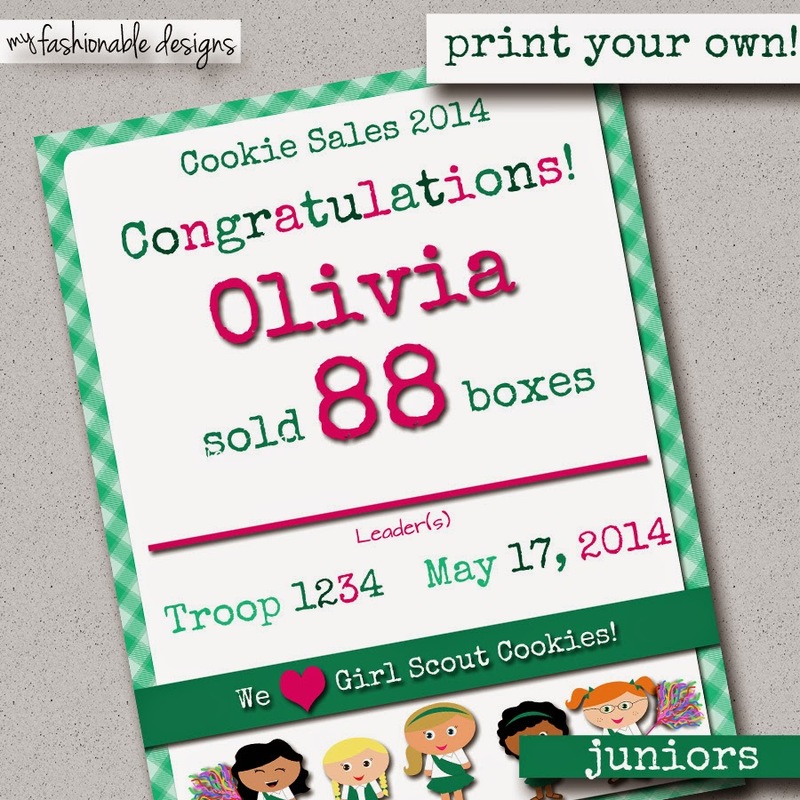 It's so exciting to get a certificate with your name in big, bold letters!!!! 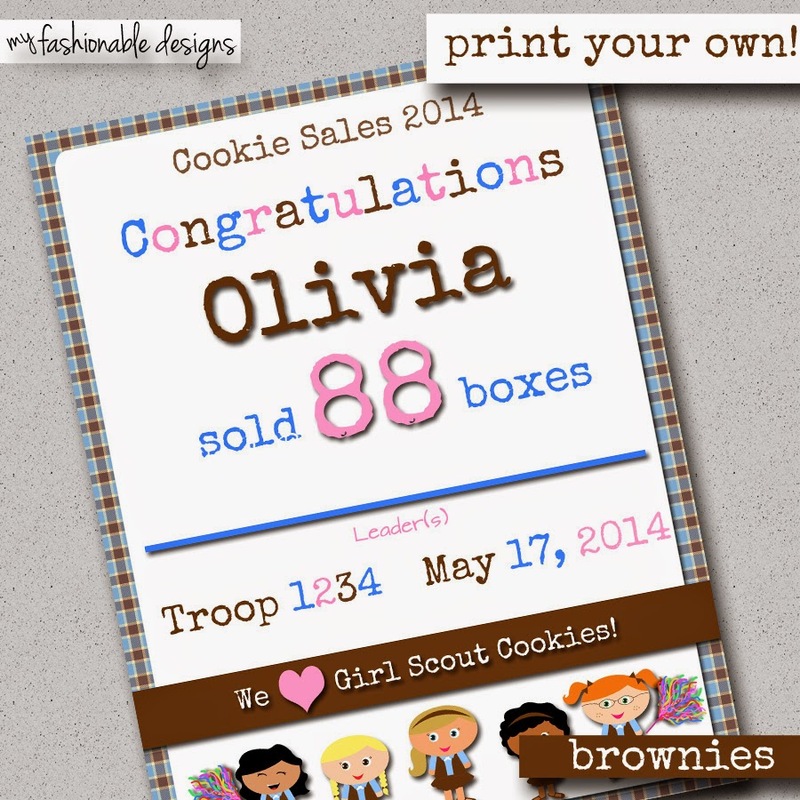 So here is a customized cookie sales certificate that it now available in my Etsy shop! 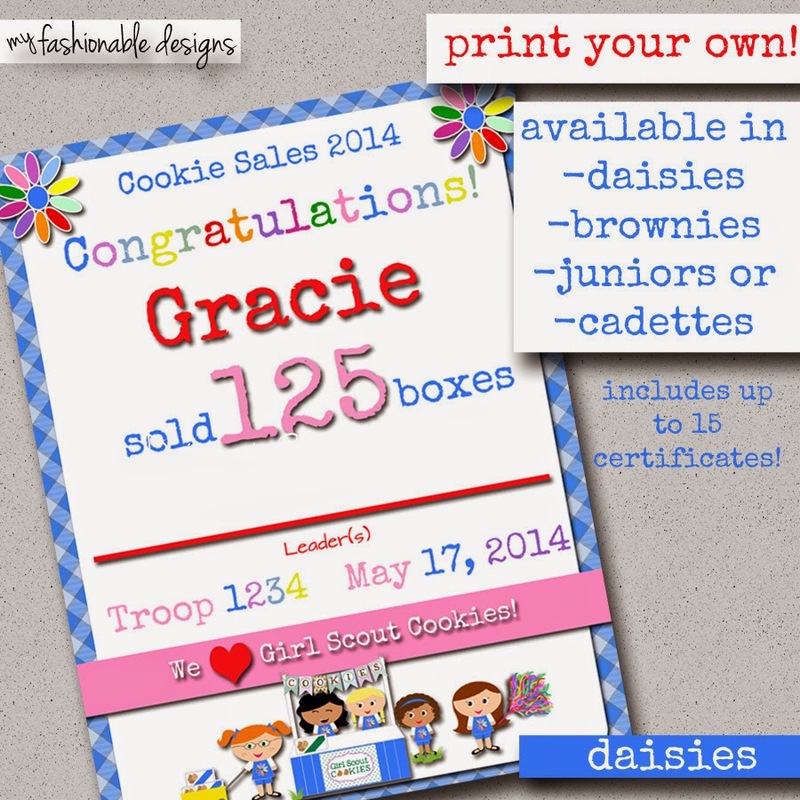 Enter DAISIES in the promo code for $2.00 off!! !